FORMER HSE CHIEF Tony O’Brien has hit out at Health Minister Simon Harris over how he handled the CervicalCheck controversy. O’Brien stepped down from his position in May, following the fallout of the scandal. In recent months it has emerged that the results of earlier smear tests of at least 221 women who were subsequently diagnosed with cervical cancer could have been interpreted differently. Most of these women were not informed about this, raising issues around open disclosure. In a wide-ranging interview in today’s Sunday Business Post, O’Brien describes Harris as a weak minister who “runs scared of headlines” and behaved like “a frightened little boy” during the CervicalCheck controversy. O’Brien said he disagreed with Harris’s decision to offer another smear test to every woman in the country, describing this as a “panicked response” as “their original smear tests could be reread”. “I would have hoped he’d have been able to show more courage in the face of a difficult political and media onslaught. And it is my sincere hope that from this, he will have gained the strength to be courageous in the future,” O’Brien said. He expressed sympathy with the women caught up in the controversy but accused some people of using the situation for political gain. “[CervicalCheck] had a very negative effect on top management [in the HSE]. To see themselves and the person who was effectively their leader effectively monstered for political purposes on the back of what was clearly a very significant issue – although not the issue they were saying it was,” he said. In a statement, a spokesperson for Harris said the minister “doesn’t believe in engaging in the politics of personalised attacks” and thinks O’Brien made the right decision in stepping down. Email “Former HSE chief calls Simon Harris 'a frightened little boy'”. 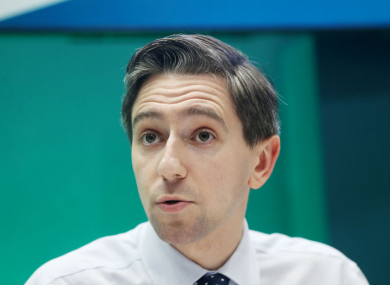 Feedback on “Former HSE chief calls Simon Harris 'a frightened little boy'”.